﻿ Holiday Inn Anaheim Resort Area, Los Angeles (CA) | FROM $90 - SAVE ON AGODA! "The staff was so helpful and friendly." "The staff were very friendly and bent over backwards to help us." "Great place for Disney and outlet shopping!" 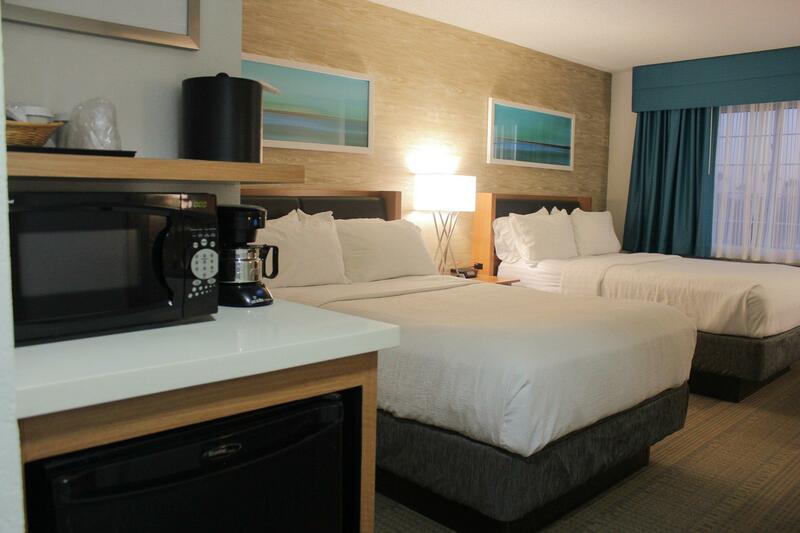 Positioned just off the Santa Ana Freeway for excellent links to many attractions, including Disneyland, this hotel in Anaheim, California offers a variety of leisure activities and an on-site restaurant. 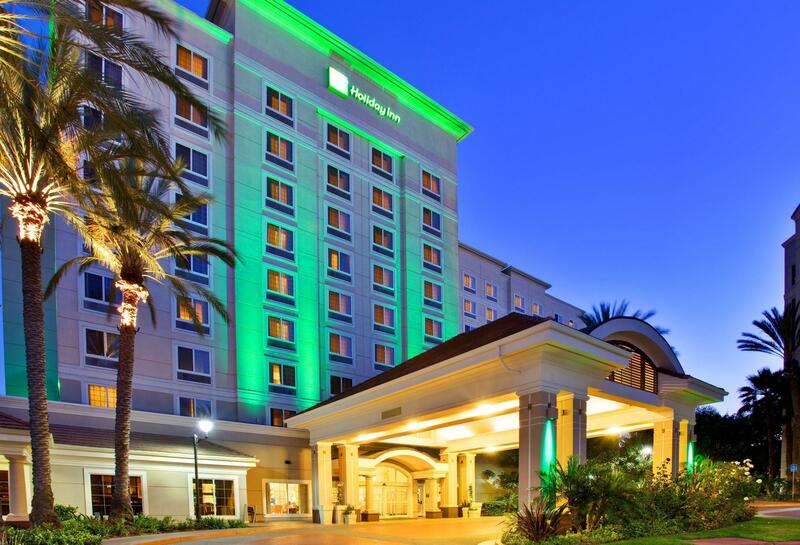 Holiday Inn Anaheim Resort Area features an outdoor pool with a whirlpool tub. Guests can sip on a drink from the seasonal, poolside bar or work out in the 24-hour fitness centre. For on-site dining, guests can enjoy American dishes in the casual American Brasserie restaurant. 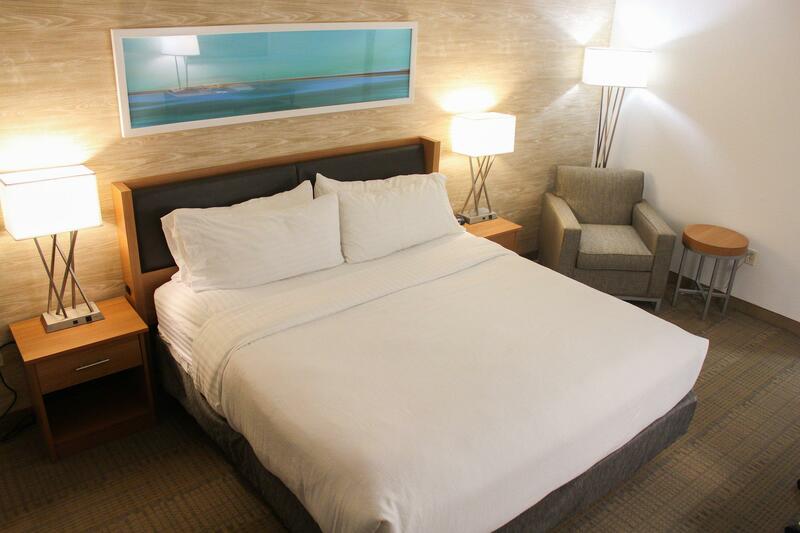 The guestrooms at the Anaheim Resort Area Holiday Inn offer several amenities for a comfortable stay. 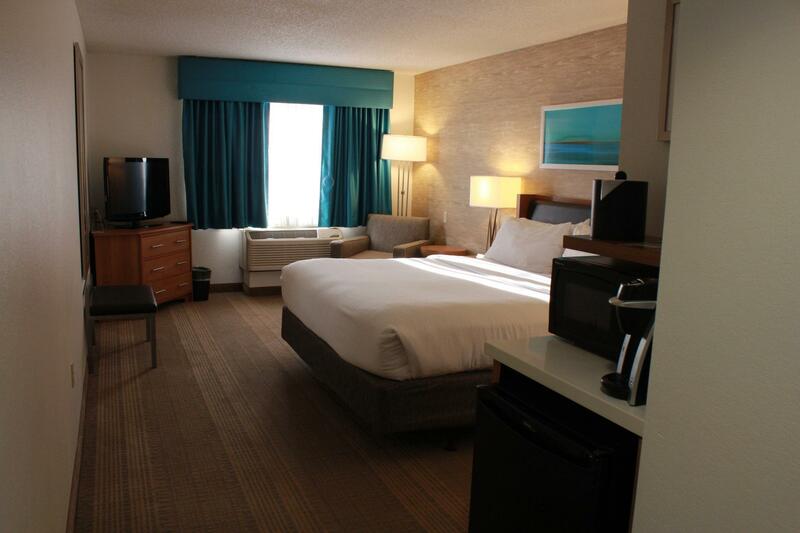 Guests can use the free, in-room wireless high-speed internet access or order a meal from the hotel's room service. "The hotel was in a great little location." Upon check-in photo identification and credit card are required. All special requests are subject to availability upon check-in. Special requests cannot be guaranteed and may incur additional charges. For any room with breakfast included, the rate includes a redeemable voucher for 2 guests only for breakfast in the hotel restaurant. Limit USD 20 per room per day. Guests are required to show a photo identification and credit card upon check-in. Please note that all Special Requests are subject to availability and additional charges may apply. Good hotel. Good location. Don’t have to pay parking fee - a plus. This was our 5th vacation spent at Holiday Inn Anaheim Resort. Each time it feels like staying with family. 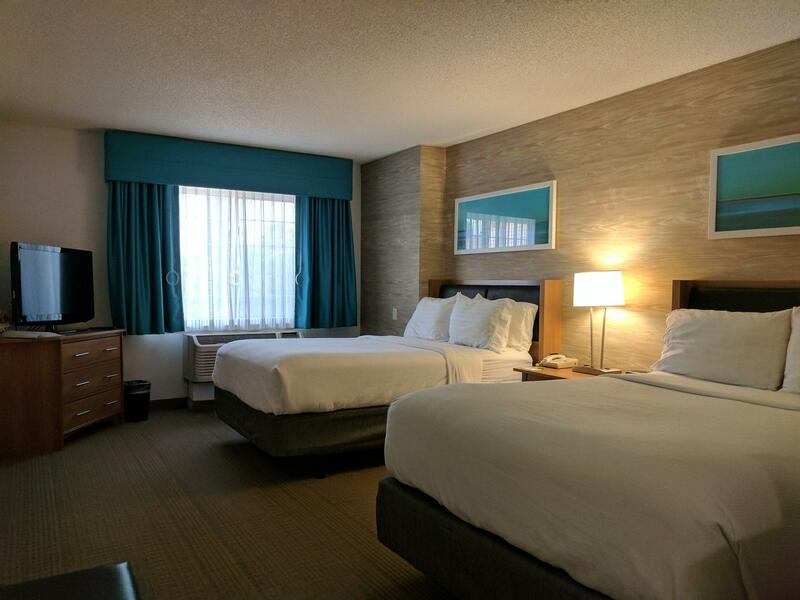 Seamless from start to finish, love the location, quick ART to Disneyland, short drive to Target, great staff including front desk, housekeeping & maintenance, pool area is second to none, plenty of parking (free! ), great wifi (also free!) - I can’t say enough good things about this place! We love it and won’t stay anywhere else. Room service was perfect housekeeping where soo sweet so attentive. Checking in was easy. The property was close to restaurants and shops. Very easy access right off the freeway. Clean and friendly staff! U can pay 5 dollar and get a return trip to disneyland, the bus stop is just beside the hotel. orange at outlet mall is also near to the hotel, uber will cost you around 8usd single trip. great place for Disney and outlet shopping! hotel food is good and affordable too. The hotel was in a great little location. We picked up the Disneyland shuttle there everyday at a nominal fee. The staff was so helpful and friendly. The restaurant on site had good at a reasonable price and absolutely wonderful servers. The rooms were clean, comfortable and nicely decorated. We had a wonderful time and would definitely stay there again. Cannot do a review as we did not stay at the Holiday Inn, which we booked. So rating is for Staybridge apartments. We were told by Holiday Inn reception that because of water damage they arranged for us to stay at Staybridge apartments instead which is within the resort area also. The accommodation was fine. Upon checkout we were presented with a bill. It was not communicated between Holiday Inn and Staybridge that we had prepaid. After 20 mins they finally contacted the Holiday Inn to confirm that we had in fact prepaid. Not a pleasant experience ! We stayed one night and the hotel was excellent. The staff were very friendly and bent over backwards to help us. 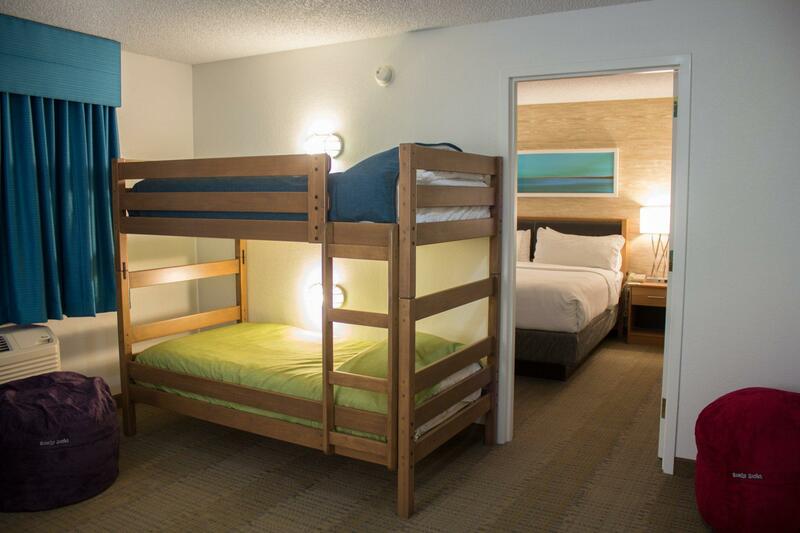 The rooms were clean and spacious and the beds were very comfortable. It's also close to Disneyland with a shuttle stop right outside. Complimentary breakfast was great! Restaurant at the hotel had wonderful service and good food. It was the icing on the cake to our stay! Overall it was a great stay. The ART was a big plus in helping us get around. Staff were all friendly and helpful. Love them except for one short lady with dyed blonde hair, (Missed to note her name), who seems to have a problem with the world (or was it just with us), cos she went out of her way to ignore us. She does not belong amongst the smiling faces of the other staff. That job is not for you lady. Not much to offer in terms of food though. Wish they had more on the menu. When we checked in, our room was upgraded to suite somehow. We were there to celebrate my birthday at Disneland, you can imagine how I felt about it. Awesome. We had busy day at Disneland and we had a dinner at the Burger Restaurant ( Burger Theory ) it was awesome as well. Thank you so much for making my day. near to Disney land. shuttle service but need to pay. noise air con as mention by one of the members. the plus is free parking and near to Disney land. Had a Wonderful Time in staying with them, Staff were very professional and it was so quiet and peaceful. Overall was good. V near to outlet @ Orange. Parking is free. There is shuttle bus to disneyland that depart every 15min. Room was big and bed was comfy. Price is still ok for the room.